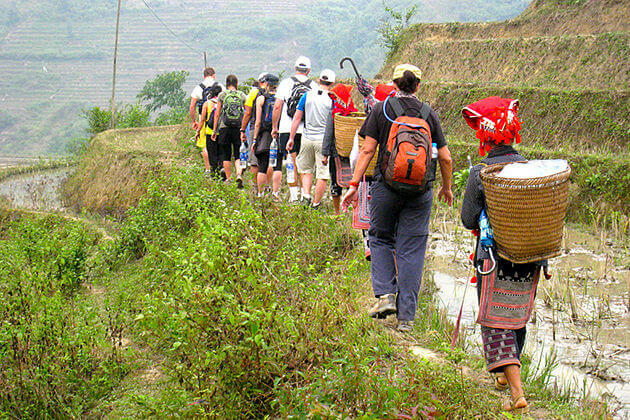 Be engulfed in the beauty of Vietnam from the North to the South with our 10-day tour. Get amazed that in each region of Vietnam, you will certainly find its charm in landscapes that is favored by Nature and friendly people as well. 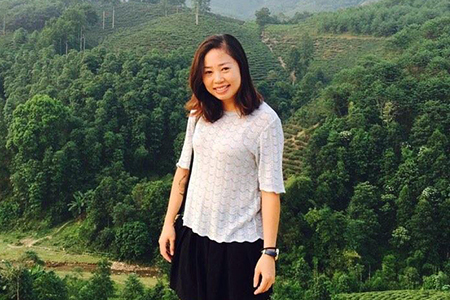 In this journey, you can also gain more insights into a different religion – Buddhism when visit tranquil pagodas and a part of Vietnam history in ancient imperial citadel existing covering many centuries, etc. Warmly greeted by local tour guide and driver, we quickly transfer to hotel in city center. After taking a short rest, we enjoy our tasty dinner at a Vietnamese traditional restaurant. 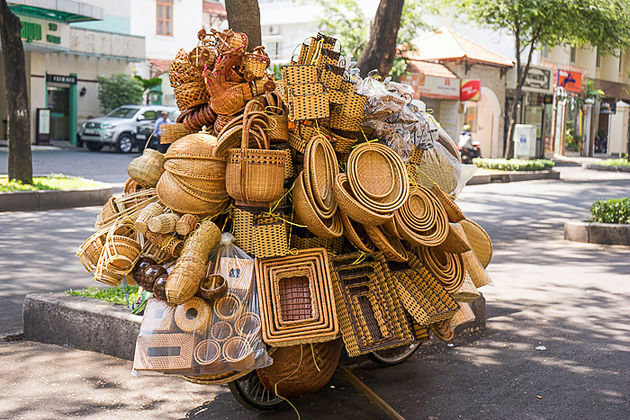 If today falls on weekend, we can experience bustling and hustling atmosphere at night market in Hang Ngang and Hang Dao or walking streets around Hoan Kiem Lake and some streets in Old Quarter. Back to our hotel and overnight here. Itinerary this morning excludes breakfast because we will take Hanoi Food Tasting Tour. 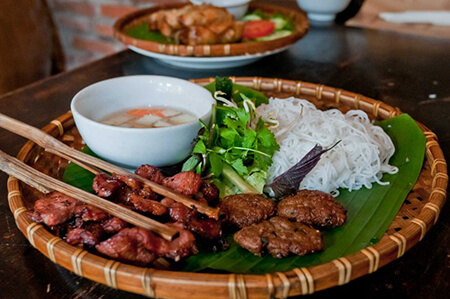 At first, let’s enjoy Pho Ga (chicken rice noodle) – one of the most traditional dishes of Hanoi. Then, stroll around Old Quarter to taste many different kinds of local food and drinks like rice pancake, oil-fried pastry, pillow cake, stuff pancake with pork, egg coffee, draught beer and tofu, etc. along tiny streets. Afterward, discover Dong Xuan Market and Hang Be Market to get deeper insights into daily life of local people and experience bustling and hustling atmosphere. 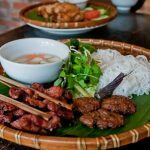 Finish this morning by enjoying a delicious lunch in cozy Rue Lamblot Restaurant in Hang Trong Street with spring rolls, fried cake, grilled pork noodle and banana flower salad. Have a rest before continue our city tour in this afternoon. 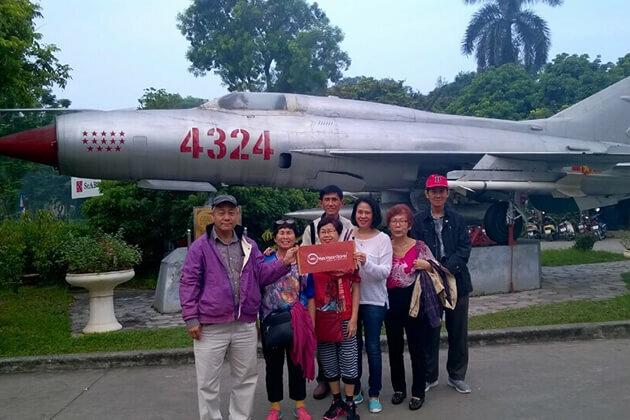 The rest of the day, we first visit Ho Chi Minh Mausoleum Complex, Ba Dinh Square, New National Assembly House, One Pillar Pagoda, House on Stilt and Uncle Ho’s fish pond by walking. 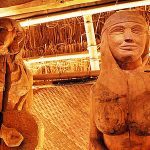 Then, our diver will take us to Museum of Ethnology where exhibits many valuable documents and vestiges of 56 ethnic minorities in Vietnam. Drive to West Lake area, we will stop for a walk along Thanh Nien Street known as one of the most romantic road in Hanoi and contemplate poetic scenery when the sun sets in the west. Next, stop at a coffee shop to relax and talk with our guide before back to hotel. Overnight in Hanoi. Leave Hanoi, head to the Northeast and spend a full day enjoying majestic landscapes of Halong Bay – a must-visit destination of Vietnam. After driving 3 hours, Halong Bay will make us amazed by its breathtaking beauty with 1600 mighty limestone islands and islets rising in the blue sea. Being recognized by UNESCO in 1994, Halong Bay is also well-known for its bio-diversity, historical and cultural values. Embark a cruise and our shipman will take us to the middle of the bay to witness various interesting shapes of islands and islets. Enjoy tasty seafood while sightseeing before disembarking. Then, take a short flight to Phu Bai Airport, we arrive at Hue in the evening. Check into our hotel. Relax and overnight in Hue. 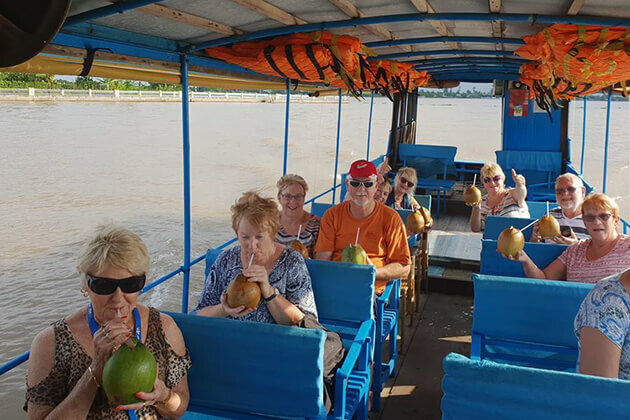 Morning sightseeing with Hue City Tour to many outstanding attractions. We first take a boat to enjoy tranquil scenery of this city along poetic Perfume River. Then, visit charming Thien Mu Pagoda – one of the most famous Buddhist pagoda in Vietnam built in 18th century and hear our local guide tell us about many stories in Vietnam War attracted to this pagoda. Located on the top of a hill, from Thien Mu Pagoda, we can also witness the whole beautiful view of Hue and enjoy peace in our soul. Being an old capital of Vietnam, Hue today is well-known for its remained antique tombs and citadel. Therefore, the next site will be Tu Duc Emperor’s Tomb – one of the most famous Kings of Nguyen Dynasty. Before move to Imperial Citadel, we spend the rest of this morning to visit colonial hat handicraft village and incense making village to see how local people produce these products and ear their livings from that. In lunch time, we will be served a special vegetarian meal in a local restaurant. Then, have a short rest and continue our trip with 2 famous sites of Hue which are Imperial Citadel and Forbidden City. Here, get deeper insights into a part of Vietnam Feudalism Period by listening stories about the Kings, their families and their dynasties, etc. Besides enjoying pleasant Hue traditional music performances, we can pretend to be Nguyen’s King and Queen by renting traditional costumes. End our trip by walking around Dong Ba Market. Overnight in Hue. After breakfast, we transfer to Hoi An Ancient Town by car. 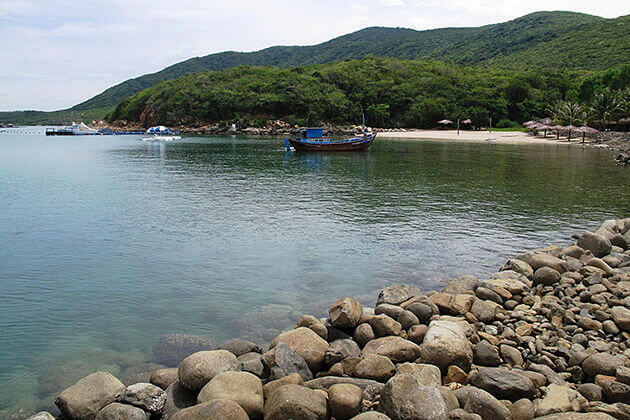 To get this town, we must travel through Hai Van Pass – one of the most majestic pass of Vietnam and Danang City. On the road, driver will stop to let us witness the surrounding landscapes and take photos. In Danang, we will visit Cham Museum, My Khe Beach and Marble Mountain whose name represents for 5 elements of the nature (mental- wood- water- fire- soil). In the late afternoon, set our foot on Hoi An and check into our hotel. Leisure time for us at evening. Overnight in Hoi An. Morning activities start with Hoi An Cooking Class where we can learn how to cook traditional dishes of the Center from skillful chefs. We first go to the local market to buy ingredients for meal with the help of guide and chef. Back to restaurant, watch cooking demonstration of chef then we make dishes by ourselves. At the end of class, each person will be given a cooking recipe book. Enjoy our lunch before continue the tour. 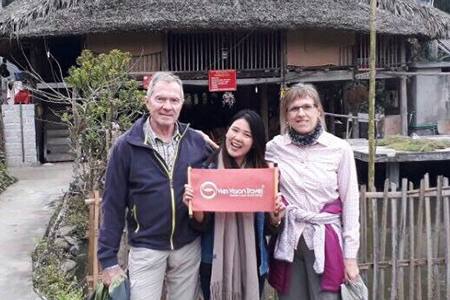 In the afternoon, your walking tour includes many well-known attractions in Hoi An like Japanese Covered Bridge, Pottery Museum, Tan Ky Ancient Assembly Hall, Cantonese Congregation, handicraft workshop to enjoy a short traditional music performance, etc. During the tour, please feel free to ask tour guide to stop at any place we want to take a look. End the day by returning to hotel and taking a rest. Overnight in Hoi An. 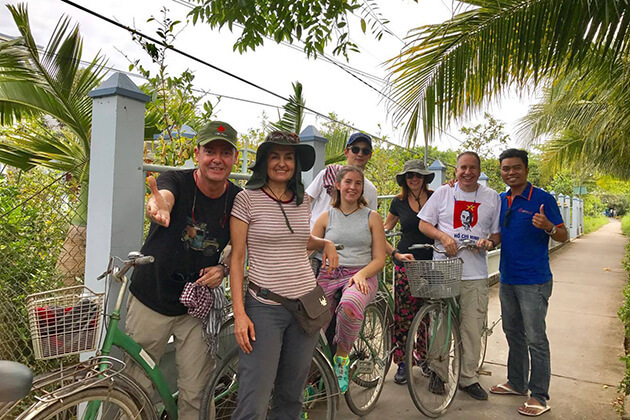 Warmly welcomed in Ho Chi Minh City in this morning after a short flight, then we quickly transfer to Cu Chi Tunnel – one of the most famous historical monument of Vietnam. Cu Chi Tunnel is a secret underground system built in Vietnam War and Indochina War including innumerable trap doors, living areas, storage facilities, hospitals, kitchens, weapon factories and command centers with the length of over 250m in the total. Here, we can also witness other remaining historical vestiges of a magnanimous period of time like an US tank or many bomb holes made by 500lb bombs. Here, we can get experience as a person who lives in that war time by trying cassava, sweet potato, tea, etc. Another option for us is using gun with real bullets. In the late afternoon, return to Saigon and overnight here. This morning starts with a Hands-on Cooking Class at The Saigon Culinary Art Center where is not only a class where we can learn to cook traditional food of Southern part, but also a place where we can fall in line with local people. The chef will help us to choose fresh ingredients at market and make simple dishes like salad, spring roll and a pork dish. At the end of the course, we can receive cooking recipe book to make some Vietnamese dishes at home. Itinerary this afternoon includes The Reunification Palace, War Remnant museum, Post office and Notre Dame Cathedral. End the day by visiting Ben Thanh Market before back to hotel. Overnight in Saigon. After breakfast, farewell Saigon and transfer to airport for our departure flight. Trip ends.